After successfully submitting the application for permanent resident eventually the interview followed (maybe a year or less) from the date of submission. A few days after the interview I was able to renew my Alberta Health Care Insurance Card using the Confirmation of Permanent Resident issued by the CIC. Then what did I do next? 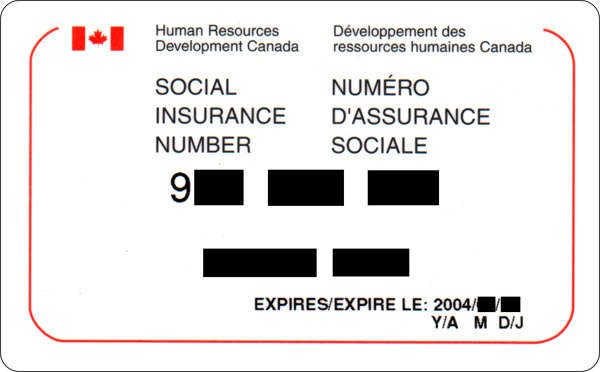 I had to wait for my PR card, a required proof of identity, to get a new Social Insurance Number that is no longer starting with “9” (for temporary foreign workers). The set of numbers starts with “6” for citizen and permanent resident. I found out that on March 31, 2014, Service Canada stopped the production of plastic SIN cards . It was replaced by the confirmation of SIN letter. Maybe a card similar to the provincial health card will do but since a resident in Canada rarely use the SIN card it’s better to have it in paper format. It’s economical . . . and NO more waiting. You can get the new Social Insurance Number the same day. The application for different transaction regarding SIN such as applying for the first time, renewing, and amending the information has somewhat the same process. You can apply for SIN from within or outside Canada. Parents can avail the Newborn Registration Service for their bundle of joy. It only took me fifteen minutes or less to get a new Social Insurance Number at Harry Hays Building in downtown Calgary. The Service Canada office is in the second floor. I showed my PR card and driver’s license. The presentation of original proof of identity is a must. I had to say good bye to the old SIN card and say hello to the paper format. I still like my old number because its easy to memorize. As with my new number I have to come up with a mnemonic or just keep on memorizing. For more information on how to protect, keep, and other tips, read everything about Social Insurance Number on the website of Service Canada. Tip: It wouldn’t take much of your time. Once you get the PR card, immediately renew your Social Insurance Number together with the provincial health card. Most likely you already have the documents needed for the application. So move along. But only after knowing where to go next. Service Canada Office in Calgary are found in four locations; but if you want to go out of town, you can renew the social insurance number in any of the three cities, two towns, and one urban community close to Calgary. If you choose to renew the SIN card in Drumheller Scheduled Outreach Site, make sure to visit the Royal Tyrrell Museum and Star Mine Suspension Bridge. You can choose to renew the SIN card in Calgary and other provinces in Canada through the Service Canada offices scattered across Canada. Search either by postal code, city, or province. Starting anew is much felt after all the renewal of proof of identities. Yes, that’s how it is. There is a sense of accomplishment. I can still remember the first time I asked why do I need the Social Insurance Number that I had to get one after living in Canada for less than a week. The How to Renew SIN Card in Calgary is my legacy to all the newcomers in Calgary. I’m not moving somewhere else (yet) so wait for more how-to posts. Are you about to renew your Social Insurance Number? Where are you planning to get your new SIN?